A global narrative about technological change and the future of work is emerging. It states that technological innovation will be pervasive across the world, and the impacts on labor markets will be deep but largely transitory. Will the future of work look the same everywhere? On the one hand, evidence points to developing countries lagging behind in terms of technological diffusion and the re-skilling of their current and future workers. This could exacerbate development gaps with respect to advanced countries as has happened in previous technological “revolutions”. On the other, structural factors that are country-specific -such as demographics, factor endowments, gender gaps- may cause new technologies to have different impacts on labor markets. We believe that the menu of policy options that the G20 is developing should ideally start with country-specific diagnoses taking into account these structural factors. However, given that this may be unreachable in the short run, we recommend to start monitoring the trends in technological adoption and skills development in each G20 country. For this, more and better data is needed. A global narrative about technological change and the future of work is gaining attention: the ubiquitous adoption of cheaper, more intelligent machines will disrupt labor markets but the effects will be transitory in nature. Eventually, a new equilibrium will be achieved based on a balance between new technologies and the required skills. From a developing-country perspective, this narrative presents some shortcomings. In particular, it does not appear to fit the way global technological change and economic development interacted in the past. History shows that periods of technological revolutions were also phases of great bifurcations in income, productivity and welfare across countries. To make it this time different, developing countries must adapt their policies and institutions to foster technological adoption and skills development. This seems quite challenging. First, the diffusion of technologies is lower now than in past technological revolutions. Second, learning systems for building and readapting skills are largely dysfunctional. But this evidence is partial as the global economy still lacks a comparable set of cross-country data for developing countries about these fundamental issues. These data gaps are key. To manage this transition, developing countries must first be able to measure their present performance regarding technological adoption and skills development. 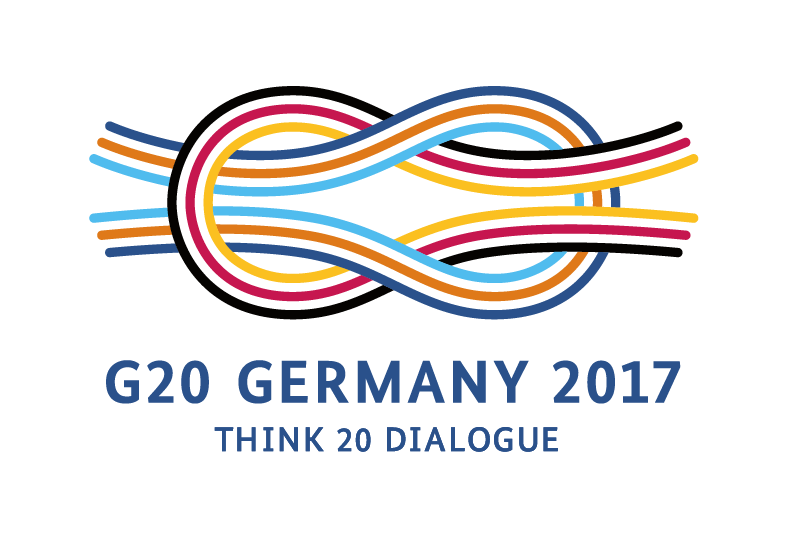 The G20 offers a suitable forum to evaluate these data gaps and help countries assess their own challenges related to the future of work. Building on existing advances in Information and Communication Technologies (ICTs), a set of new technologies (Internet of Things, big data analytics, 3D printing, artificial intelligence, smart sensors, etc.) is reshaping the way we produce, consume, trade, and, of course, the way we work (Schwab 2016). In this new technological revolution, labeled “The Fourth Industrial Revolution” or “industry 4.0”, the pace of change seems faster than previous technological revolutions, such as the steam engine at the end of the 18th century or electricity, mass production at the beginning of the 20th century, and even the ICT revolution late in that century (Skilton and Hovsepian 2018). Nonetheless, the speed and concrete consequences of this transformation into a “digitization of everything” – as the US National Academy of Sciences, Engineering and Medicine called it in a recent report (NASEM, 2017) – are highly uncertain. In this scenario, a global narrative on how these new technologies may shape labor markets in the near future is gaining attention (e.g., IMF, 2018a). According to it, the ubiquitous adoption of cheaper, more intelligent machines and new forms of capital will disrupt labor markets through two forces. First, the adoption of digital technologies will create new job opportunities, particularly in the set of tasks that complements and augments the power of these technologies, that is, in digital-intensive sectors (e.g., software) and digital-related tasks elsewhere in the economy (e.g., design and marketing)1. Employment should grow in these sectors, as well as the premium on digital skills. Second, it will threaten jobs that involve tasks that will become obsolete because of the adoption of these new technologies. Employment levels and return to skills are expected to decrease for these jobs. We cannot foresee the overall impact yet, the narrative goes, but historical evidence suggests that in the long run, the first effect offsets the second effect, and both employment and real wages will ultimately increase. Even if the transformation seems to go further this time -threatening highskilled, cognitive-intensive jobs- its impact will be pretty much the same as in previous technological revolutions. From a developing-country perspective, this narrative presents some shortcomings. In particular, it does not seem to fit the way global technological change and economic development interacted in the past. History shows that periods of technological revolutions were also phases of great bifurcations in income, productivity and welfare across countries – the emergence of winners and losers at the global level (Pritchett 1997). In the latter set of countries, one of the key factors that explain its relative decline is the inability of firms and workers to fully absorb new technologies and translate them into productivity gains. Thus, when it comes to global technological disruptions, one of the main lessons we can learn from developing countries’ performance is that there is a long road from technological feasibility to technological adoption (Clark and Feenstra, 2003). The developing countries that belong to the G20 are largely middle-income countries. Such countries are especially prone to enter a “middle-income trap”; that is, they could fail to “make a timely transition from resource-driven growth, with low-cost labor and capital, to productivity-driven growth” (Kharas and Kohli, 2011). In every country, a productivity-driven balanced growth path requires sizable and joint investments in both technology and skills.3 Decisions by firms and workers are thus strategic complements: they mutually reinforce one another (Acemoglu, 1998). Innovation and productivity growth will not surge if a country invests only in technology or only in skills. In this context, developing countries can easily become trapped in a “bad equilibrium” of low technological adoption/low skills development and no incentives for firms and workers to move to a different equilibrium (Cirera and Maloney, 2017). And this would not be a mere transition; this could well be the new normal. Will this time be different? To answer this question, research teams from CIPPEC, Tandem and HSRC under the auspices of the EMSD conducted country-specific technology foresight exercises for three G20 developing countries: Argentina, India, and South Africa.4 In these exercises, specialists and key actors from technology, social sciences, economics, the government and the private sector that are concerned with technology and the future of work engaged in a participatory, action-oriented, open-to-alternative-futures process of debate and systematic reasoning. In this case, key questions to answer were: How far are we from the global narrative? How prone are these countries to fall into a new development trap? Four main takeaways were obtained from these exercises. First, it is not evident that the global narrative’s steady state “new technology – new skills”is the fate for developing economies. It was found that strategic complementarity and its challenges are present. Second, lags in the diffusion of new technologies are significant and causes a greater challenge than in previous technological revolutions for the vast majority of firms. Third, learning systems in developing countries are largely dysfunctional, and it is not only a matter of increasing spending on education or addressing curricular issues. Fourth, the degree of technological diffusion and skill development interact with key structural factors such as demographics, factor endowments, gender gaps and others; and as a result, the impact of new technologies on labor markets will have a significant country-specific component. The takeaways related to the lags in technology diffusion and skills development from the technology-foresight exercises in Argentina, India and South Africa seem to be representative of the challenges facing other developing countries as well. Although there is no comparable set of crosscountry data for developing countries (we will return to this later), the available information points to this conclusion. Consider, first, technological adoption. A bird’s-eye view of recent developments provides room for optimism. Higher economic integration through falling transportation and communication costs, more open trade, and the emergence of Global Value Chains have all eased firms’ access to new technologies (IMF 2018b). Besides, the very nature of these technologies tends to be more open-sourced and in many cases crowd-based in design, which makes it easier for non-incumbents to access and adopt them. Leapfrogging strategies seem easier to implement now than in previous technological revolutions. As a result, not only has the average time between an invention and its use as a technology decreased in the current technological revolution, but also the cross-country differences in adoption lags have diminished sharply in recent decades (particularly in the case of Asia, see Comin and Hobijn, 2010). The evaluation is not that optimistic when one looks at the degree of diffusion of new technologies in developing countries. Indeed, if we consider the data available on the diffusion rate of a new technology and not just its adoption, we see a completely different picture: the gap between technological leaders and technological followers has widened and, according to Comin and Mestieri (2017), is wider for recent technologies than for those invented in the past. Figure 1 confirms this hypothesis. It shows the Digital Adoption Index compiled by the World Bank (2016) for businesses in G20 countries. This index is a broad measure of technological adoption, but it can provide a general picture of the divergent trajectories of specific countries.5 Note that the difference between developed and developing countries is striking. Now consider skills. Over the last 50 years, skills development in emerging countries has changed drastically. First, there was a dramatic increase in educational attainment measured as years of schooling (see Barro and Lee, 2015). Second, public expenditure on education has been growing faster than GDP in the majority of developing countries (UNESCO, 2015). The digitization of everything is just beginning. As with previous General- Purpose Technologies,7 it will take time until its full potential is realized. This opens a “window of opportunity” for both developed and developing countries: there is still time to adapt policies and institutions to the world to come. The G20 has begun to build a common understanding of the nature of these changes. The Framework Working Group (FWG) of the Finance Track is developing a menu of policy options to address the economic and social implications of technological change. It is key to make progress here because, as Mitchell and Brynjolfsson (2017), the co-chairs of the NASEM report, summarized, “Policymakers are flying blind into what has been called the fourth industrial revolution”. However, since most research and available data refer to developed economies, there is a risk that the construction of a shared view and the menu of policy options neglect factors and trends that are relevant to developing economies. at earlier stages of the demographic transition, and, thus, labor is cheaper than in Europe or Japan. • Factor endowments. The effects of automation will also depend on factor endowments, which are country-specific. For example, automation will be more prevalent in countries specialized in laborintensive activities than in those with abundance of natural resources. However, not all labor-intensive activities will face the threat of automatization similarly. Some medium-skill jobs-like the care economy- are less likely to be replaced by machines. Given the lack of capital, this type of activities is more prevalent in developing countries than developed countries. • Gender and other gaps. Women’s access to digital technologies is likely to increase as the affordability and penetration of internet services and devices increase. However, the impact may be different in developed than developing countries. In the latter, low levels of literacy, education, and skilling combined with/reinforced by socio-cultural norms are likely to restrict women’s capacity to leverage new technologies for their economic empowerment. Other gaps, like religion and race, may also be very relevant in the developing world. Ideally, the menu of policy options should start from an individual diagnosis taking into account the above-mentioned structural factors that make the impact of new technologies different in different countries. Given that this may be unrecheable for the FWG in the short run, we recommend monitoring the trends in technological adoption and skills development in each G20 country. Therefore, the menu of policy options should not be taken as onetime product but as a starting point of a continuous work on the effects of new technologies on labor markets. Another problem is that developing countries lack basic information about these issues. There are not official and comparable information about the ways in which firms are dealing with technological change and how children, teenagers and adults are adapting their stock of skills to face the future. We believe the G20 is the proper forum to address this issue. In light of the challenges they face, we strongly recommend that the G20 continues working on closing data gaps. More specifically, we recommend the Digital Economy Task Force (DETF) -that has as one of its main topic to measure the digital economy- to strengthen their efforts to fill the data gaps regarding trends in the adoption and diffusion of the new digital technologies and the development of skills, particularly for developing countries, with a focus on the within-country asymmetries. We strongly believe that these two recommendations -one for the FWG and the other for the DETF- constitute a necessary first step for any policy framework that hopes to take advantage of the digital revolution and start a succesful development process. Employment opportunities will appear whenever new tecnologies enable the creation of new markets. Thus, they are not limited to high-skilled sectors. Other dystopian views exist about technology and the future of work. One is the threat of a world of technological unemployment, like the one that worried John Maynard Keynes in the 1930s, John Stuart Mill in the 19th century and even Queen Elizabeth I in the late 16th century (Mokyr et al., 2015). Another has to do with the "Solow Paradox", that is, the idea that this technological revolution is not going to boost productivity as in previous revolutions. For an analysis of the US economy along these lines, see Gordon (2012). That is another way to say that technical change favors skilled over unskilled labor. For a literature review of this type of skill-biased technical change, see Violante (2016). See Aneja and Mathur (2018), Chetty (2018), and Albrieu and Rapetti (2018). There are several, rather isolated initiatives in the private sector (i.e., business, university) and the public sector to try to measure the evolution of the industry 4.0 in their countries. The picture that emerges from these unbalanced data shows that technological lags matter in developing countries. See CNI-UFRJ-Campinas (2018) for Brazil and BCG- Ministerio de Producción (2018) for Argentina. For example, in South Africa, the impact of income inequality has had a direct influence on the opportunities available for the poor. It has been found that the poor attend ill-functioning schools, gain few opportunities to access tertiary education and ultimately contribute to the unemployed or unskilled labor force. According to Lipsey et al. (2006), a General-Purpose Technology is defined as a generic technology that "initially has much scope for improvement and eventually comes to be widely used, to have many uses, and to have spillover effects". Acemoglu, D. (1998) "Why do new technologies complement skills? Directed technical change and wage inequality." Quarterly Journal of Economics, 113(4). Albrieu R. and M. Rapetti (2018), "The future of Work in Argentina", Mimeo, CIPPEC-EMSD. Aneja U. and V. Mathur (2018), "The future of Work in India", Mimeo, Tandem-EMSD. Barro R. and J. W. Lee (2015). Education Matters: Global Schooling Gains from the 19th to the 21st Century. Oxford University Press. Chetty, K. (2018), "The future of Work in South Africa", Mimeo, HSRC -EMSD. Cirera J. and W. Maloney (2017), The Innovation Paradox: Developing-Country Capabilities and the Unrealized Promise of Technological Catch-Up. World Bank Publications. Clark G. and R. Feenstra (2003), "Technology in the Great Divergence," In Michael D. Bordo, Alan M. Taylor, and Jeffrey G. Williamson (eds.) Globalization in Historical Perspective, Univ. of Chicago and NBER. Comin, D., and B., Hobijn (2010) "An Exploration of Technology Diffusion." The American Economic Review 100(5): 2031-2059. Comin, D., and M. Mestieri (2017) "If Technology Has Arrived Everywhere, Why Has Income Diverged?" mimeo. Accepted subject to revisions at the American Economic Journal: Macroeconomics. Goldin C. and L. Katz (2008), The Race between Education and Technology. Belknap Press. Hanushek L. and M. Woessmann (2015), The Knowledge Capital of Nations: Education and the Economics of Growth. The MIT Press. IMF (2018a) "Technology and the Future of Work". IMF Staff Note, April 11. IMF (2018b) World Economic Outlook, April. Kharas, H. and H. Kohli (2011), "What is the middle income trap, why do countries fall into it, and how can it be avoided?" Global Journal of Emerging Market Economies 3.3. Lipsey, R.; Carlaw, K.; and B. Clifford (2006), Economic Transformations: General Purpose Technologies and Long Term Economic Growth. Oxford University Press. Mitchel, T. and E. Brynjolfsson (2017), "Track how technology is transforming work." Nature, vol. 544, Issue 7650. Mokyr, J.; Vickers, C.; and N. Ziebarth (2015), "The History of Technological Anxiety and the Future of Economic Growth: Is This Time Different?". Journal of Economic Perspectives Volume 29, No. 3. National Academy of Sciences (2017) Information Technology and the US Workforce. Where Are We and Where Do We Go from Here? National Academies Press. Pritchett, L. (1997), "Divergence, Big Time." Journal of Economic Perspectives, Volume 11 No. 3. Pritchett, L. (2013), The Rebirth of Education: Schooling Ain't Learning. Center for Global Development. Schwab, K. (2017), The Fourth Industrial Revolution. Crown Business. Skilton M. and and F. Hovsepian (2018), The 4th Industrial Revolution: Responding to the Impact of Artificial Intelligence on Business. Palgrave macmillan. UNESCO (2015), Education For All Global Monitoring Report: Education For All 2000-2015: Achievements And Challenges. United Nations Education, Scientific & Cultural Organization. Violante, G. L. (2016), "Skill-biased technical change." Article prepared for The New Palgrave Dictionary of Economics, 2nd Edition (Steven Durlauf and Lawrence Blume, Editors), http://www.econ.nyu.edu/user/violante/Books/sbtc january16.pdf. World Bank (2016) World Development Report 2016: Digital Dividends. Washington, DC.